Rome is where the reality looks like a dream. It is a place where dreams come alive in beauty, grace and magnificence. The seat of one of the most sophisticated and erudite ancient classical civilisations, Rome is absolutely gorgeous and rightfully one of the most beautiful places in the world. Steeped in a rich history, Rome houses some of the most marvelous art and architecture that will blow your mind. Take a walk down the lane of history, enjoy a food tour, live la dolce vita and make the most of your Roman Holiday in this beautiful Italian capital. Here are some of the most amazing and exhilarating experiences that you must include in your trip. 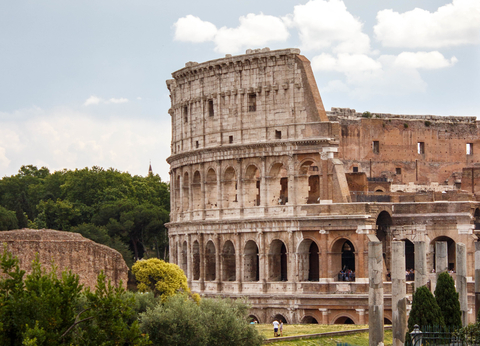 Possibly the most iconic landmark of Rome, the Flavian Amphitheatre, the Colosseum dates back to 70-80 AD. It is easily accessible by metro and it is to the south west of the main terminus train station. It hosted some of the most valiant games and gladiator fights of the ancient world, and now plays host to millions of tourists every year. The Pantheon, which was constructed between 118 and 128 A.D, is the burial ground of some of the most important Roman kings and other prominent figures. It is the best preserved among all the other ancient buildings and its magnificent dome is the world’s largest ancient dome and has a series of stunning stone patterns as well as a central coffer to allows sunlight to enter the building. It stands tall as a testament to the grand Roman civilisation. The seat of the Pope, the holy Vatican is absolutely majestic, and it will leave you feeling absolutely humbled. Whether you are a Christian or not, religious or not, you absolutely cannot miss out the most stunning pieces of art and architecture that you will ever see. The iconic Sistine Chapel, St Peter’s Basilica, Vatican Museums etc. hold some of the most revered and intricate art of the world. 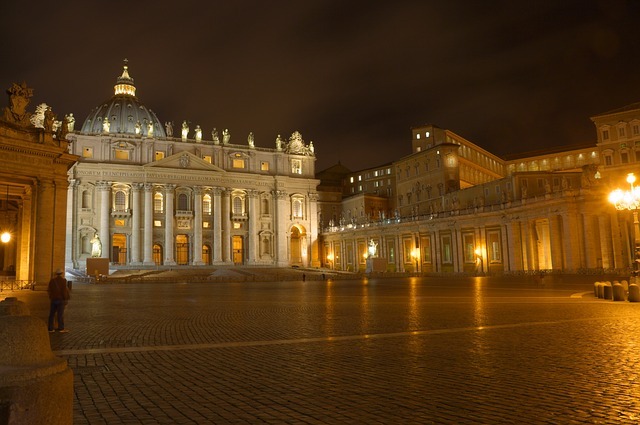 The smallest country by size and population, the Vatican is possibly the greatest in its respect and magnificence. The flamboyant baroque fountain, which is one of the most loved Roman locations from movies, the site of the iconic night dip in the movie, La Dolce Vita, is a sight to behold. Constructed in 1762 by Nicola Salvi, as a tribute to the Roman God Oceanus, it was subsequently restored in 2015, to preserve its grandeur. 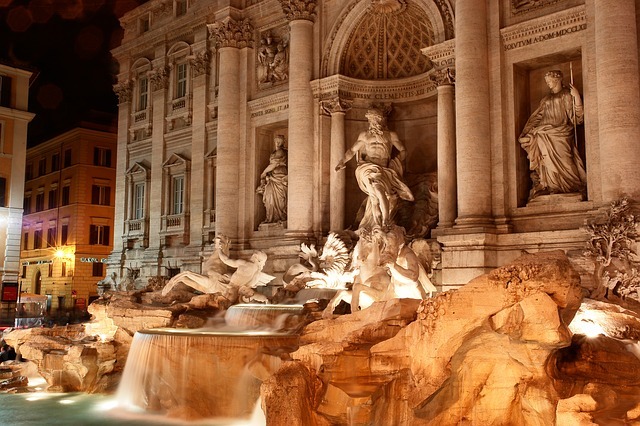 Located at the Piazza di Trevi, it is the largest standing baroque fountain of the world. Once there throw a coin in the fountain for good luck and as a promise to return to Rome. Rome loves its cats and that is shown in its hundreds of thousands of stray cats who roam the streets freely. They are loved and taken care of by the locals. 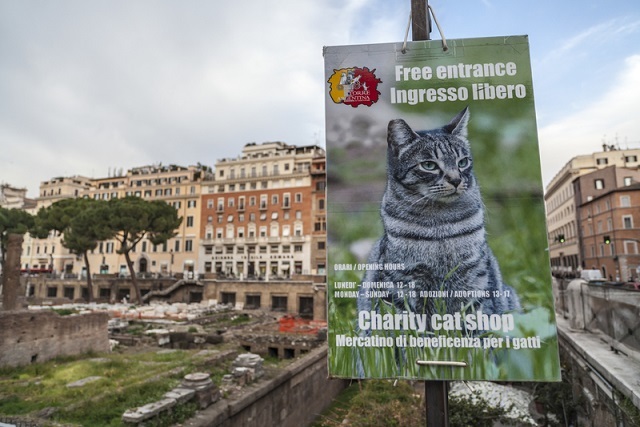 Who have in fact, built them a Cat Sanctuary at the Largo di Torre Argentina, where hundreds of cats are fed, taken care of and pampered by local volunteers who ensure that the feline residents are plump, fluffy and happy? Go off the beaten track and experience this beautiful sanctuary for extra purrs and love. 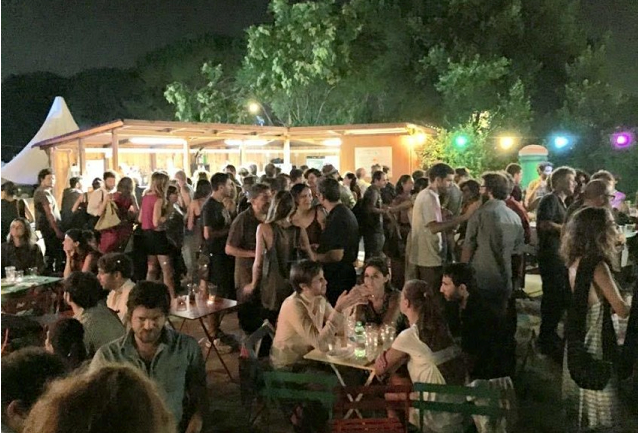 While you spend the day sightseeing and visiting the popular tourist spots, make the best of your nights by sampling the affordable and exciting Roman nightlife at the San Lorenzo District. Around the piazza Tiburtini, opposite the Campo dei Fiori, south of Termini Station is where the cool crowd comes to hang out. Start your food tour Rome with some amazing lip smacking local cuisine at one of the pop up sidewalk cafes, go for a drink at the super affordable bars and party with locals and cool tourists at the festino or street party. 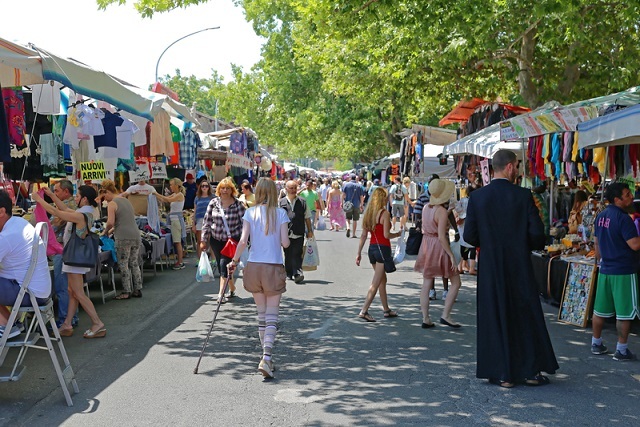 No trip can be complete without souvenir shopping, so drop by this beautiful flea market and pick up some of the adorable stuff as the most unique and special gifts for your loved ones back home. The Porta Portese Market on Via Poruense sells tons of cool stuff, which are perfect or gifts, from trinkets, jewellery, books, pottery, Olivetti typewriters, watches and whatnot! Held every Sunday, this is a treasure trove of affordable shopping. When in Rome, eat like a Roman. Your food tour Rome absolutely has to include a slice of Italian pizza. Light, crispy, cheesy with the right balance of base and toppings, the Italian pizza will blow your mind. While delicacies like pizza, pasta and gelato came from Italy, nothing like a taste of the original. Try delicacies as well such as porchetta, trapizzino, suppli etc. The Italian cuisine loves its meat and cheese and you will fall in love with the food here. 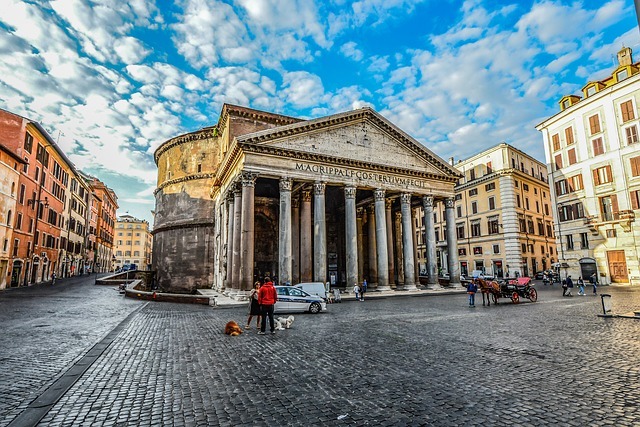 Rome is not really one of the cheapest vacation but it definitely has affordable options which you can avail for a longer trip within your budget. Plan your finances smartly and tick this dreamy romantic destination off your bucket list. Some of the popular tourist spots have huge queues and your best bet to save time would be to opt for advance ticket booking which can not only help you make the best of your time, but also might offer some exciting and exclusive discounts. Rome is a stunning city with dreamy cityscapes, majestic architecture, classical art, heavenly food, warm local people and so much more that it is indeed an experience of a lifetime.